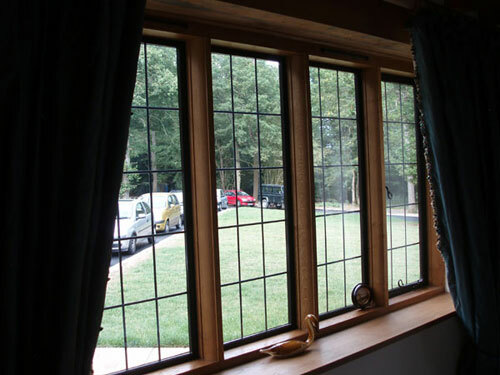 Windows are manufactured to almost any design with full certification for u-values and compliance with fire regulation if required. 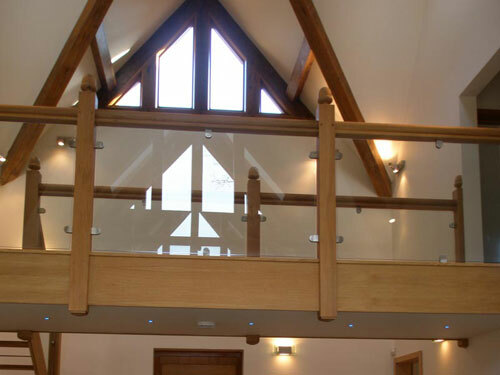 Careful selection of straight grained and carefully dried timbers is carried-out to ensure a first quality product. Best practice is always maintained, for instance dowels are used to secure the frame joints, as opposed to screws, to ensure a better longer lasting product; and neoprene seals are incorporated in place of the usual foam fitted variarities which retain moisture. 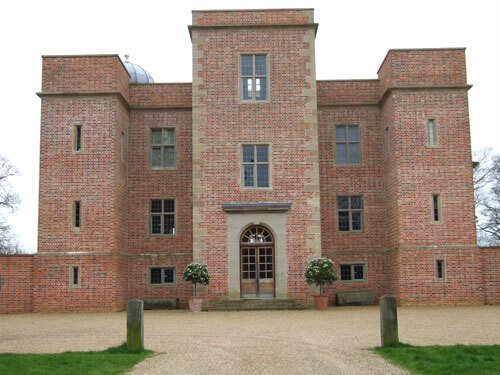 Windows, Jameson Joinery is a windows manufacturer company for corporate or private clients in the UK Sussex including London, Brighton and all the other surrounding areas. 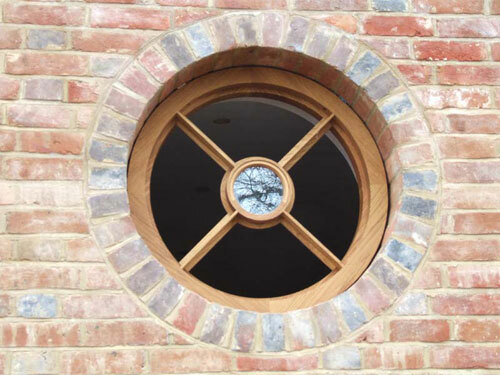 Double glazed circular windows with "bullseye" central pane. 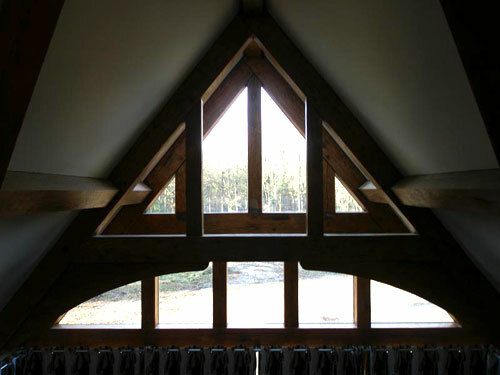 Georgian pane Douglas Fir windows. 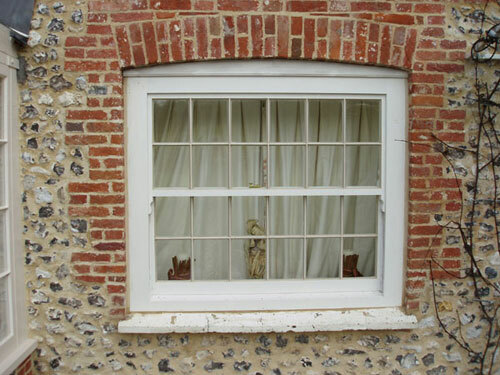 Box sash window fitted with traditional lead balance weights. 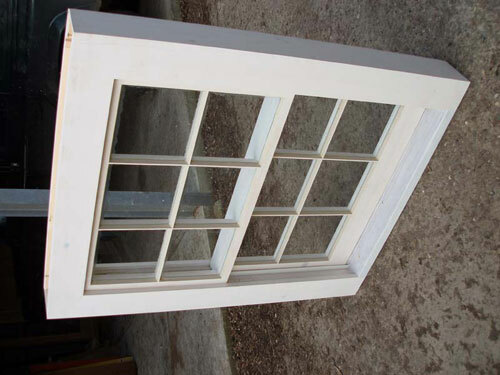 Single glazed box sash window with 15 mm wide glazing bars. 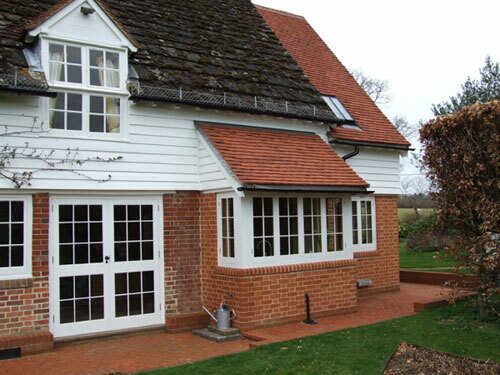 150 mm square oak frames fitted with galvanised and powder coated double glazed steel subframes. 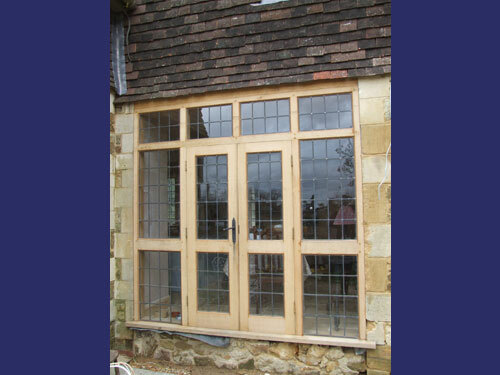 150 mm deep oak frames fitted with steel subframes glazed with leaded lights. 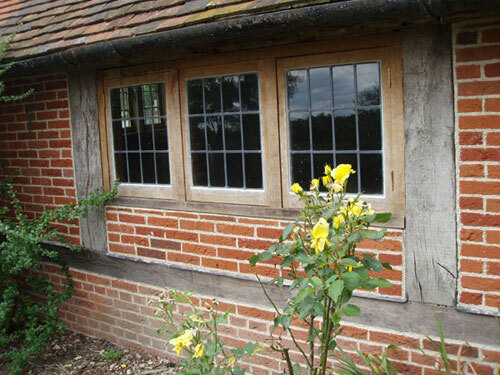 150 mm English oak frames fitted with 32 mm thick casements glazed with hand made leaded lights. 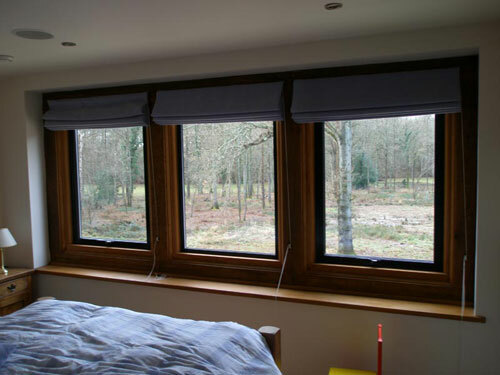 Double glazed windows fitted with 24 mm Argon fitted units. 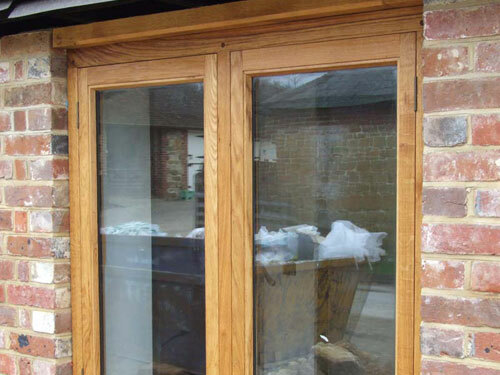 Glazed apex with double glazing fitted directly into oak framing permitting maximum opening size. Hand made single glazed leaded lights with individual panes mounted in steel subframes. Oak screen with double glazed leaded lights.